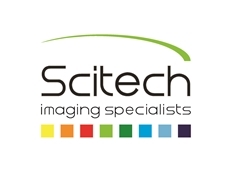 Scitech presents Neurolucida from MBF Bioscience, a powerful tool for creating and analysing realistic, meaningful, and quantifiable neuron reconstructions from microscope images. The advanced software can be used to perform detailed morphometric analysis of neurons such as quantifying the number of dendrites, axons, nodes, synapses and spines; the length, width and volume of dendrites and axons; area and volume of the soma; and the complexity and extension of neurons. Neurolucida is being used by researchers to reconstruct and analyse tens of thousands of neurons leading to advances in various areas of neuroscience including neurodegenerative diseases, neuropathy, memory, and behaviour, as well as advances in other research fields such as ophthalmology. In addition to software for neuron tracing and analysis, a Neurolucida system includes hardware such as a microscope, computer, motorised stage, camera, etc., and comes with MBF’s technical support for the entire system as well as research support to optimise experimental design. The Neurolucida workstation edition allows researchers to trace and analyse neurons in previously acquired image stacks with a computer not connected to a microscope. A system for neuron tracing and analysis typically includes a computer connected to a microscope. Neurolucida fully integrates with the microscope and associated hardware to reduce manual work and speed up data collection. Key abilities include controlling motorised stages, controlling cameras to change or save settings for future use, operating the focus knob or change objectives, and changing filter turrets, filter wheels, and mirror cubes when acquiring fluorescent images or image stacks. Neurolucida works with brightfield, multi-channel fluorescence, confocal, structured illumination, and two-photon microscopes. Neurolucida can be paired with the Image Stack extension module to acquire image stacks at a microscope, then trace and analyse neurons at a computer workstation to free up the microscope for other projects. Image stacks are also a digital resource to refer to if data needs to be double checked, and it’s a way to preserve fluorescent tissue since images, unlike fluorescent tissue, don’t degrade, fade or bleach. During image stack acquisition, Neurolucida directs the motorised stage and camera, and, for fluorescent images, the filter wheels and mirror cubes, allowing the user to automatically capture image stacks at the microscope and analyse them on a computer with the workstation edition of Neurolucida. Image stacks can be saved to the Biolucida Cloud for easy retrieval. Neurolucida workstation edition is also compatible with image stacks acquired with other software. 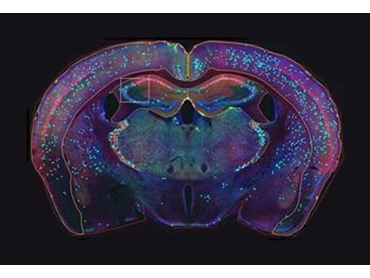 Neurolucida also works with whole slide images (digital scans of specimen) from providers such as Aperio and Hamamatsu, and can capture whole slide images of the entire specimen in 3D (x, y, and z) or 2D (x, y) with the addition of the Virtual Tissue 3D or 2D module. Working with whole slide images gives the user the freedom to create neuron reconstructions and analyse them on any computer (even those not connected to a microscope), while also providing a permanent digital file of the specimen that can be easily stored on Biolucida Cloud, MBF’s image viewing, sharing, and storing software. Serial section reconstructions can be used to trace and analyse neurons through multiple sections, or to create a 3D model of the organ and its regions for brain mapping and quantification. The 3D visualisation capabilities in Neurolucida allow the user to view the structures the way they were in the model organism, from any angle. After mounting the sections, they are certain to be in different orientations on the slide. Neurolucida has tools to help align the tracing of the section or sections already traced to the image of the section about to be traced. The automatic contouring tool in Neurolucida automatically traces anatomical boundaries to make serial section reconstruction easier and faster. Each Neurolucida system is customised for the lab. Software and integration can be provided to labs that already have all the necessary equipment; alternatively complete systems including microscopes, motorised stages, cameras, computers and software can be supplied.